This archipelago, nestled serenely in the Pacific Ocean towards the Far-East, has a history, culture, and an economy that belies its diminutive footprint. Emerging from the embers of World War II, Japan levitated to the enviable position of the world’s second-largest economy in the world during the late 60s and held that position continuously for more than four decades. Although China has raced past Japan to become the world’s second largest economy in 2011, it was Japan that set the precedent for growth in Asia, way back in the 1950s, by adopting an export-based economic model. Japan still accounts for nearly 9% of the world’s GDP. Barely the size of California, Japan ranks tenth globally according to headcount with a population density over ten times that of the U.S. Japan is also the home to 10% of the world’s active volcanoes. Frequently tormented by earthquakes, the latest occurred in March 2011 causing damage of epic proportion. 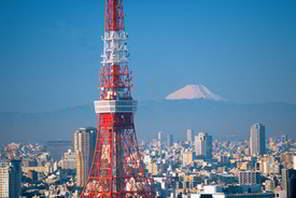 Its capital, Tokyo, is the largest metropolitan area in the world with over 30 million residents. True to its national name Nippon, which means “the land of the rising sun”, Japan has overcome a host of chinks in its armor to ascend to a gloriously incandescent yet arduous stature in the modern-day global vista. Even the Japanese flag, known as Hinomaru, or sun disc, sports a center red disc epitomizing “the circle of the sun”. Recorded history in Japan can be traced back to over 1600 years, when disparate clans and gentry families vied for power in the country for several centuries. During this time, some celebrated warrior clans, popularly known as Samurai, gained recognition, and successive Shoguns or military dictators from these clans ruled in Japan up until the middle of the 19th century. Fuedal regime: Since times immemorial, the sun has been the all pervasive symbol of power, inspiration, sincerity, and passion in this oriental country. Legend has it that the emperors of Japan to have descended from the sun goddess. Even the Japanese flag, known as Hinomaru, or sun disc, sports a center red disc epitomizing “the circle of the sun”. A Maiko, or apprentice Geisha in a traditional Japanese kimono. 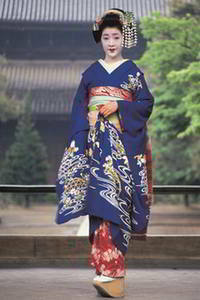 A young girl may become a Maiko at 16, and then must undergo five years of training to become a full-fledged Geisha. Recorded history in Japan can be traced back to over 1600 years, when disparate clans and gentry families vied for power in the country for several centuries. During this time, some celebrated warrior clans, popularly known as Samurai, gained recognition, and successive Shoguns or military dictators from these clans ruled in Japan up until the middle of the 19th century. The feudal regime of the Shoguns was brought to an end when the Meiji era commenced in Japan in 1867. The Meiji era, which means “enlightened rule”, lasted for the next 45 years and proved to be a catalyst in catapulting Japan from its primeval status to a modernized world power. While the Meiji emperor was the symbolic leader of the Meiji restoration, during his regime, power was wielded by the Genro- an oligarchy comprised of the most influential people of Japan from the military, political, and economic spheres. Within a generation, the country came into its own and was acknowledged as a global power to reckon with. Japanese aggression and its role in the World Wars: During the first half of the 20th century, Japan embarked upon an ambitious strategy of aggressive militarization and an expansion of its empire. The country was engaged in military conflicts with China, Russia, and also consolidated its territorial holdings by gaining control over Taiwan and Korea. The suffering and distress caused by these acts of aggression in Japanese occupied territories received widespread condemnation from around the world. This also prompted the U.S. to impose an oil embargo on Japan. The subsequent Japanese bombing of the U.S. naval base at Pearl Harbor in December 1941 brought the U.S. into World War II. Japan’s imperial pursuits culminated with the cessation of the world war and the U.S. bombing of the Japanese cities of Hiroshima and Nagasaki in August 1945. Ultimately, Japan’s absolute monarchy system was replaced by a liberal democratic set-up and the country transitioned to a constitutional monarchy with a parliamentary form of government. The Emperor of Japan today is a symbolic head of state with limited powers restricted to diplomatic occasions. Power is primarily held by the prime minister and other elected members. Japan boasts of a rich cultural heritage which finds expression in a spectrum of art, crafts, cuisine, and traditions. It has evolved considerably from the original Jomon culture (14,000 BC -400 BC) to the contemporary mélange which incorporates influences from Asia, Europe, and North America, and yet retains a distinct flavor of its own. Whether it is craft forms like ikebana, origami, and ukiyo-e, performances like kabuki and noh, or a distinctly aesthetic style of gardens, architecture or paintings, the contributions of this culturally diverse country are admired the world over. The country has also been a fertile ground for various forms of martial arts like sumo, judo, karate, and kendo. Sushi and sashimi are epicurean examples of Japanese sophistication and refinement in cuisine. Literally rebuilt from the ruins of World War II, Tokyo stands tall, symbolizing the might of economy. Japanese geisha: The much famed and celebrated Geisha, a traditional female Japanese entertainer, is deep-rooted in age-old Japanese culture. The Geishas belong to an elegant and elite cultural class, skilled in long-established and venerable Japanese performing arts like classical music and dance, as well as customary practices, such as tea ceremonies. However, with interest in classical Japanese arts gradually fading in contemporary times, and the strains of a slowing economy taking their toll, the Geisha culture in Japan is paling into oblivion in the modern world. Buddhism and Shintoism are the primary religions practiced by the 84% of the Japanese, and their teachings are deeply interwoven into the everyday life of the people. The Japanese are also deeply influenced by Confucianism, an ancient Chinese ethical and philosophical system, which entails the practice of proper forms of conduct, especially in social and familial relationships. If there was one country that was literally reduced to ashes during the World War II, it was Japan. From being a regional powerhouse during the late nineteenth and early twentieth centuries capable of taking on the might of China and Russia, Japan was humbled by its defeat in the war, its industry and infrastructure damaged beyond recognition. However, Japan’s economic recovery proved to be as dramatic as its downfall, thanks partially to America, which remained in Japan for few years and offered $2 billion in aid in the form of food, fertilizers, petroleum products, and industrial materials. Still, besides foreign aid, favorable factors such as a strong work ethic, close cooperation between the government and industry, mastery of technology, and reduced defense spending (thanks to the Peace Clause which stipulated that the U.S. would provide military protection if required) helped the nation rebuild itself rapidly. As an economic write-up by the Central Intelligence Agency pointed out, the post-war Japanese economy was characterized by a unique network called “keiretsu,” Japanese for headless combine. Under this kind of corporate structure, a number of buyers and suppliers joined together, usually by taking small stakes in each other’s firms. This mutually beneficial arrangement helped to improve business efficiency and productivity. Since all the parties concerned stood to benefit from the tie-up, it made sense for these firms to keep their employees for long periods of time. In fact, the foundation laid by the keiretsu has helped keep Japan’s unemployment rate low to this date. By the mid-60s, the country made rapid strides and emerged as a global economic leader, propelled by its highly successful automobile and consumer electronics industries, whose products became a byword for quality and durability worldwide. Membership in the Organization of Economic Co-operation and Development (OECD) in 1964 was nothing but a natural progress for the zooming economy. Growth rates above 10% became the norm in the 60s decade, which made the world sit up and take notice of this pocket-sized dynamo. Growth averaged 5% in the 70s, and about 4% in the 80s, allowing Japan to become the world’s second largest economy after the U.S., a distinction that the country kept until 2010 when it was overtaken by China. Low inflation and a low unemployment rate provided the perfect backdrop to the growth story. The economy, once dependent on foreign money, became a universal aid donor and a frequently-tapped source of global credit. The fabled resilience of the Japanese economy in the face of adversities also has much to do with a valuable human resource that the country has in abundance: an educated, skilled, and healthy population, which boasts of the highest life expectancy in the world at about 83 years. 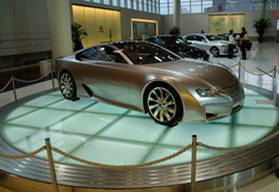 A global leader in innovation and quality, Japan has made ground-breaking contributions in automotive technology and design. The country’s manufacturing sector, dominated by car makers and electronic goods producers, propelled its post-war recovery. But the economy gradually became more broad-based, shifting to a services-based economy, which accounts for about 75% of the total output. Banking, real estate, insurance, transportation, telecommunications, and insurance segments constitute the services part of the economy. The financial services sector is well developed, with the Tokyo Stock Exchange emerging as one of the foremost stock exchanges in Asia. Still, the industrial manufacturing segment, with its contribution of 24% to the country’s GDP, accounts for the bulk of Japan’s external demand. Besides household names such as Toyota and Honda, about 65% of Japan’s exports consist of transport equipment, electrical machinery, and general machinery. Japan’s main trading partners are China, the United States, South Korea, Thailand, and Hong Kong. The leading components in Japan’s export mix are motor vehicles, semiconductors, iron and steel, and auto parts, in that order. However, due to the scarce natural resources available in the country, the manufacturing sector mostly has to import fuels and raw materials. Petroleum, liquefied natural gas, and clothing are the country’s main imports. The agricultural sector constitutes only a minuscule portion of the economy as land available for cultivation is scarce. Though Japan is self-sufficient in the production of rice, it still has to import 60% of its food requirements, mostly wheat, soy, sorghum, beef, and other items, primarily from the U.S. The Japanese economy, which grew at a fast pace in the 60s and 70s, began slowing down by the 90s owing to a growing debt burden, created by the cost of social spending on an increasingly aging population. The long, almost uninterrupted period of growth created stock market and property bubbles, which exacerbated the slowdown. The Bank of Japan tried to salvage the situation by raising interest rates toward the end of 1989. The rate hike led to the bursting of the bubble, which in turn triggered a stock market crash and a debt crisis. Many debt-laden Japanese banks and insurance companies had to be bailed out by the government. Dubbed “the first lost decade” by economists, the period was also marked by the 1997 Asian financial crisis and phases of recession, which the governments in power addressed with public spending and reforms in banking and private sector. An icon of the Japanese spirit to excel, the Shinkansen or the Bullet train, is the world’s first high-speed train, introduced in Japan in 1964. 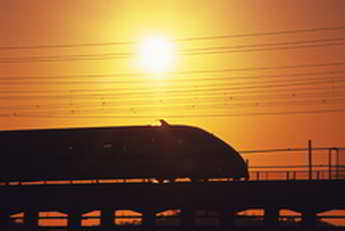 It is an inter-city train that runs at an average speed of over 160 miles per hour. Though it was punctuated by the global financial crisis of 2008-09, the first decade of the new millennium, which Japan’s detractors were quick to paint “the second lost decade,” was more of a misnomer. As The Economist pointed out, while the economy expanded only at half the pace of America’s growth between 2001 and 2010, it outperformed both the U.S. and the Euro-zone in GDP growth per person. Total factor productivity, which is defined as a measure of how a country makes use of its capital and labor, also marked an improvement during the period, the article noted. Still, the global recession of 2008-09 wielded a body blow to the export-oriented economy. Though Japan’s financial services sector was not directly exposed to the so-called toxicities of the global financial turmoil, the decline in its crucial export sector and a dip in business investment pushed the country into a recession and the economy contracted 5% in 2009. Thanks to stimulus spending from the government, the economy managed to recover in 2009 and 2010. However, the Pacific archipelago proved to be unlucky yet again, in 2011, when nature unleashed an earthquake that left a devastating tsunami in its wake. Besides the loss of 13,000 lives, the tsunami also destroyed a nuclear power plant in Fukushima, raising big questions about the safety of nuclear energy. Alongside, there were accrued financial losses, as well as the disruption of manufacturing activity and supply chains, which derailed economic growth. The economy recovered moderately in the years following the natural disaster. For a nation used to a “revolving-door” leadership, rather than political stability, the election of Shinzo Abe as prime minister early in 2013 did not seem to matter much at first. But the new incumbent, who is occupying the hot seat for the second time, launched what has come to be called ‘Abenomics.’ This three-pronged strategy involved doling out fiscal stimulus, monetary easing, as well as structural reforms intended to address some of the long-standing issues that continue to plague the economy. The fiscal stimulus program, which has a corpus of $150 billion, involved spending on public works such as railway lines and tunnels and the reconstruction of regions affected by the 2011 earthquake. Practically speaking, monetary easing meant that the Bank of Japan was asked to print more money, which weakened the yen and thus benefited the country’s exporters such as electronics manufacturers and carmakers. The strategy has actually worked so far, going by the improved growth rates, driven mainly by strong consumer spending and fast growth in country’s exports. While it has been has been pointed out that the public spending bonanza will stimulate economic activity and help improve tax revenues, the flip side is that if the cash is not put to productive use, it may just push up the debt-to-GDP ratio which already stands above 200%. Japan made its name in the business world, thanks to its “post-war entrepreneurialism,” which led to the establishment of some of the well-known business behemoths with global footprints. However, the economy could not sustain and encourage the same business initiative and drive in subsequent decades, in part due to the lack of patronage from corrupt, inefficient governments who treated entrepreneurs as more of a greedy lot. The Japanese culture, which strongly encouraged employees to stay with a company for their entire working lives, also discouraged the establishment of start-ups. Promisingly, Prime Minister Abe has set out in right earnest to make bank loans easily available to entrepreneurs and to deregulate the country’s special economic zones. The reforms are intended to help both start-ups and big firms in a bid to improve the country’s overall business climate. Nothing merits more attention than Japan’s long-standing debt problem. To be sure, the economy’s mounting debt is not the outcome of wasteful public spending, but the cost of keeping its predominantly elderly citizens – about a quarter of the country’s population is over 65-years-old – happy. Social security expenditure as a share of the GDP doubled between 1990 and 2010, as more money was earmarked to pay rising pensions and health-care costs, as an Economist report pointed out. The OECD too has sounded warning bells on the need to reduce debt. What’s more, as most of Japan’s nuclear power plants are retired, the cost of importing energy may eventually push the country’s current account into the red. Any talk of raising taxes touches a nerve in Japan. In fact, the subject is so tricky that the ruling party was voted out of power in 2012, partly because they made an attempt to raise the sales tax. Again, demographics is crucial here as elderly working people, who constitute the majority, are vehemently against raising taxes, while the voices of the young are too feeble to be heard. Deflation, a situation where there is a fall in the general price levels, as opposed to inflation, has been the bane of the Japanese economy. Here too, demography matters. Falling prices translate to better savings for the elderly who are more inclined to buy government bonds, which in turn can be used to fund the country’s deficit. Thus, while both the savers and the government benefit from the deflationary situation, the economy loses out. Monetary easing, as an OECD Economic Survey of Japan pointed out, would boost growth, as well as inflation. With Japan’s working age population forecast to shrink 40% by 2050, it appears there is an urgent need to make full use of the country’s dwindling human resources, including bringing more women into the workforce. However, this is easier said than done in a traditional, male-dominated society like Japan, which makes a clear distinction between unmarried women who go out to work and the married ones who stay at home raising children. Moreover, the elderly are mandated to retire when they turn 60, leaving them with nothing else to do for the rest of their lives given the country’s high life expectancy. Educational reforms, too, are likely needed to improve the economy’s productivity, with more investment required in pre-primary education as well as in university education.